Yahoo today updated its Aviate launcher for Android devices and made it easier to perform searches. According to Yahoo, Aviate users can now search through apps, people, and the web directly from the home screen without requiring them to open a new window first. Aviate gains new compatibility with the Motorola Nexus 6 and adds support for live wallpapers, too. Last, Aviate received several performance improvements and bug fixes. The Aviate launcher is free to download from the Google Play Store. It is compatible with devices running Android 4.0 and up. 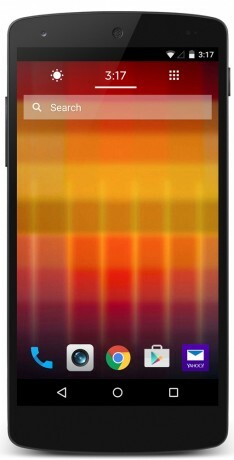 The Google Nexus 6 is essentially a Moto X on steroids. It's huge, well-made, and has an appealing design.